Using hand sanitizer keeps your hands germ free! 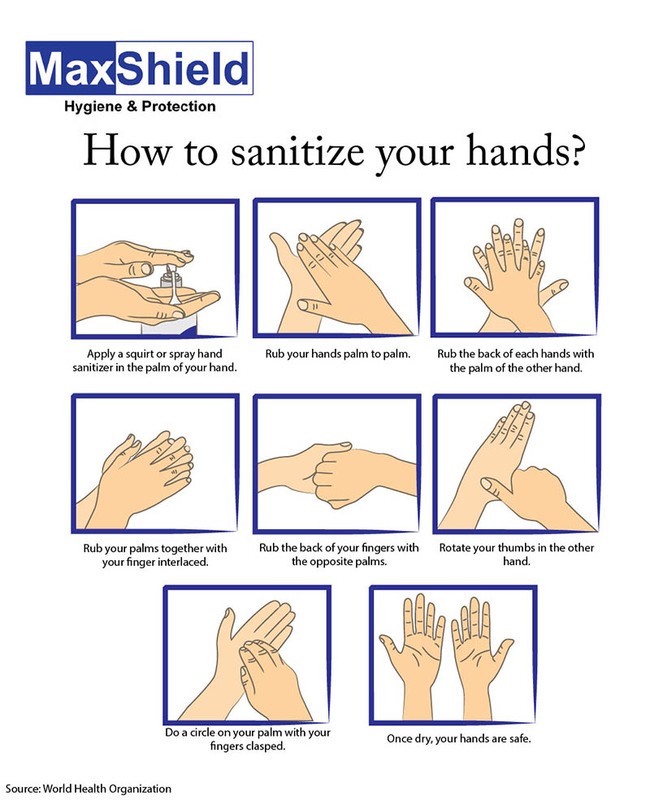 We recommend the following hand sanitizing steps prescribed by the World Health Organization (WHO). Duration of entire procedure: 20 to 30 seconds. Note: If hands are visibly soiled, they should be washed with soap and water before applying hand sanitizer. Click here for a list of MaxShield Hand Sanitizers . Copyright 2019 Duprex Singapore Pte Ltd. class="single single-post postid-1660 single-format-standard x-integrity x-integrity-light x-navbar-static-active x-full-width-layout-active x-sidebar-content-active x-post-meta-disabled x-v4_3_4 x-child-theme-active cornerstone-v1_1_3"